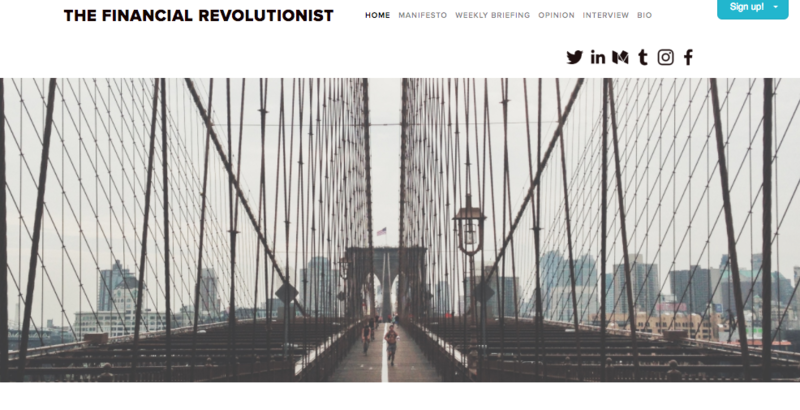 What are the top Fintech blogs and news sites you read every day? This is a question our team gets asked frequently. We noticed that in the past couple of years, quite a few informative sources have risen to prominence. 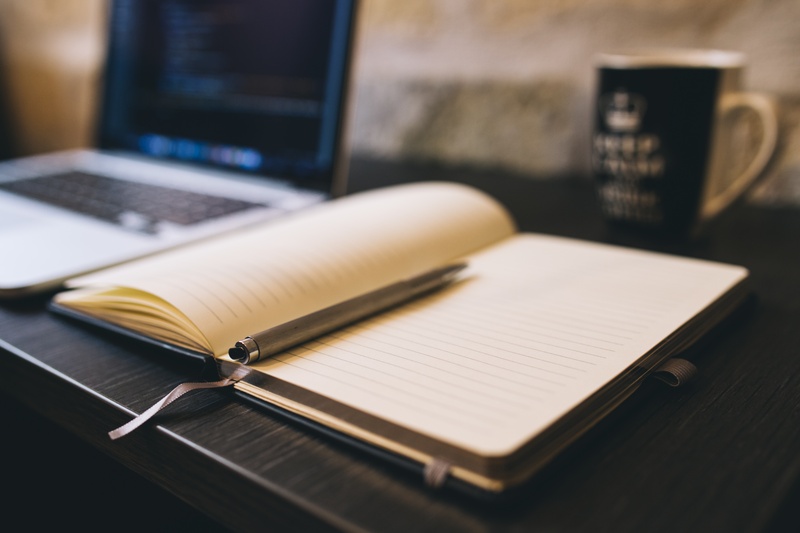 While there is a long list of fintech blogs to browse and many more sites we could mention, this is our go-to list of the 21 best fintech blogs and news sites we read every day. Check out the selection below and be sure to check out our top Fintech books article for even more suggestions. 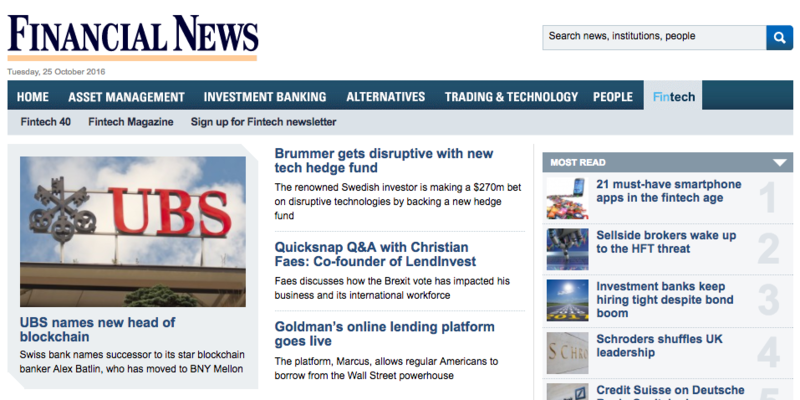 The Financial News is your bread-and-butter Fintech news site for the busy business owner to pick up useful information immediately. As a leading source on investment, banking, fund management and the finance industry in general, the Financial News must be on top of your list. One of the first ever Fintech organizations and premier events in the industry. They've created an “alumni” organization of Fintech companies, probably the sector's most comprehensive. 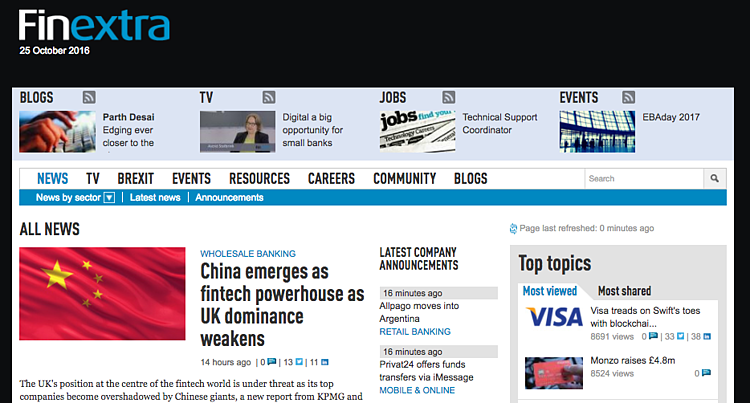 The Fintech Times is the world's first newspaper dedicated only to Fintech. 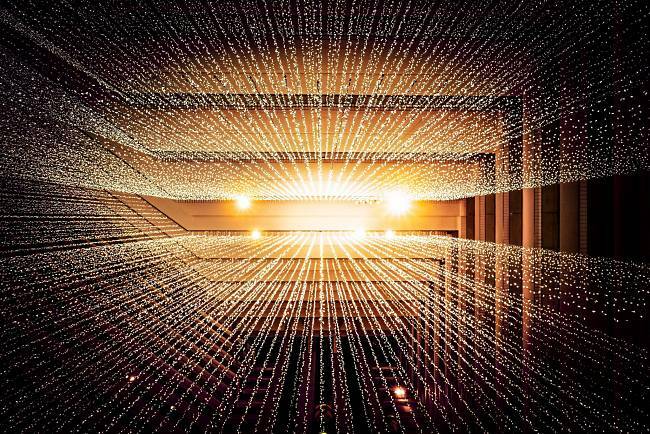 Published every month, The Fintech Times explores the explosive world of financial technology, blending first-hand insight, opinion and expertise. 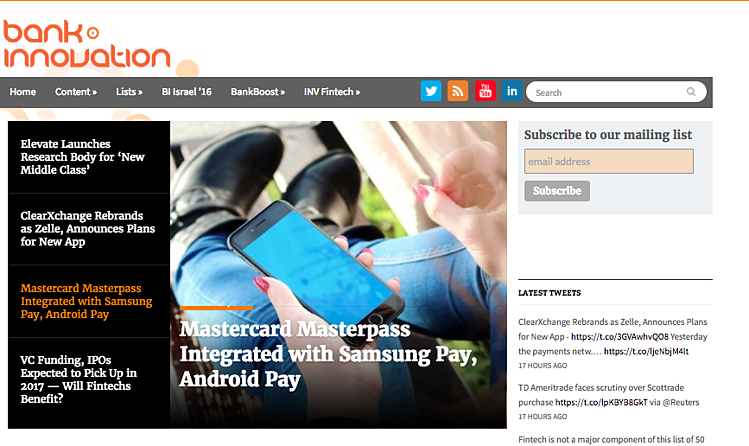 The reason to read this source for Fintech news can be boiled down to a few simple reasons. First and foremost, it encourages innovation in banking and explores the world of bank customer acquisition and retention. We guess that awards for the best banking blogs in 2012 and 2013 are there for a reason. Easily one of the most-read and followed financial technology blogs covering a wide range of material from banking and finance to blockchain and mergers. They are most certainly a leading independent news and information source for the worldwide financial technology community. 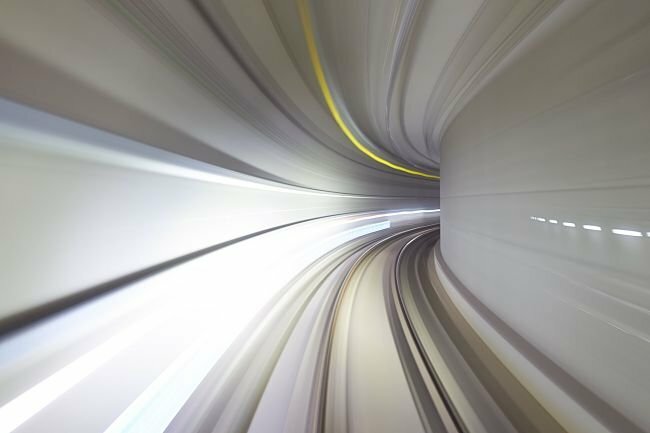 Banking Tech’s in-depth approach to Fintech is refreshing and makes it the leading resource for technology buyers and specialists in the sector. Their FinTech Futures is a digital publishing platform for the worldwide fintech community – from the industry veterans to those just entering the space, and everyone in-between. 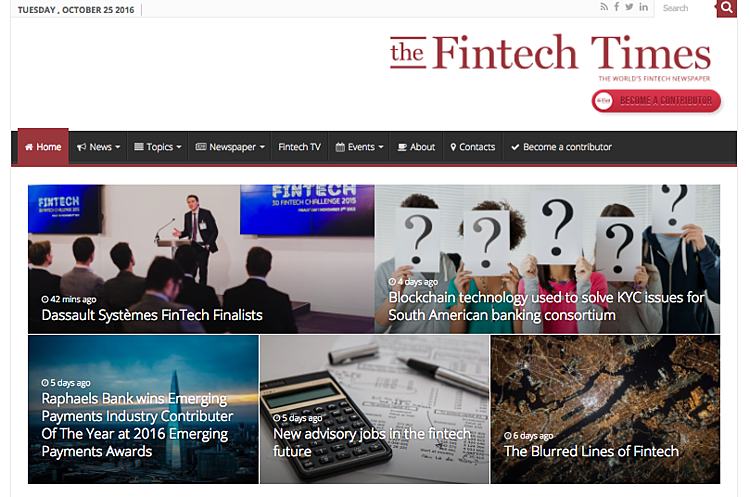 They provide daily fintech news, in-depth analysis and expert commentary across a comprehensive range of finance, banking and technology areas. The Fintech Insider community is a great platform for all enthusiasts to share the latest trends from the world of banking and financial services and engage in conversations. They curate and share the best selection of fintech, banking and financial services news out there so we can all stay informed. 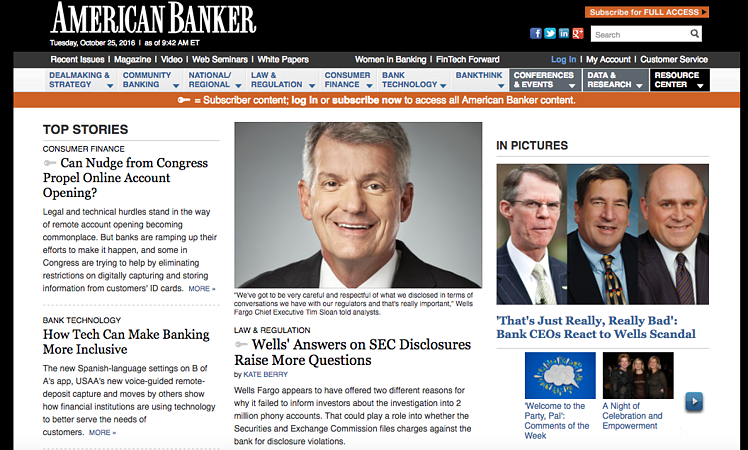 American Banker is probably one of the biggest advocacy and lobbying groups for banks and carries significant importance amongst financial service leaders and professionals. It is considered a great resource for senior executives in banking and financial services, keeping them updated on important developments in financial news topics including innovation, transformation, disruption, technology, regulation, and reform. BankNXT is a perfect place for innovative financial professionals to find knowledge, thought leadership and the community to successfully compete. BankNXT has developed a reputation for strong opinions, influential editorial and expert business insight in the world of financial technology and financial services and caters to people working in or around fintech. 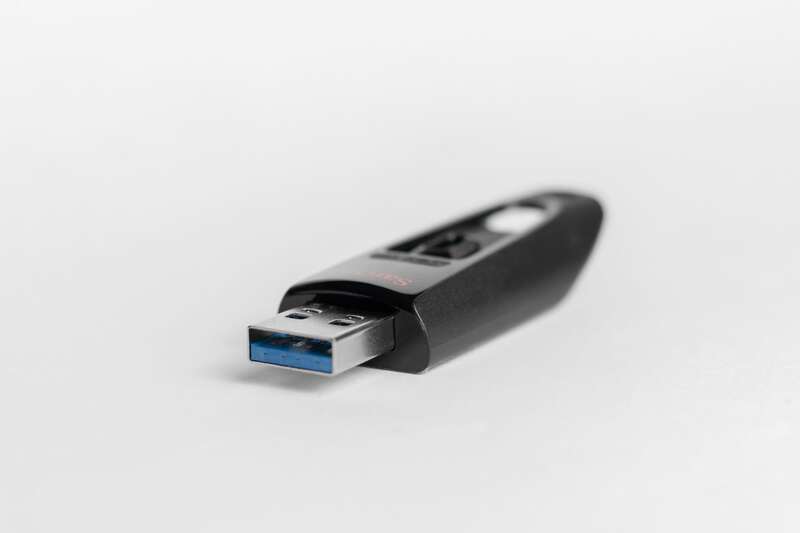 Pretty much known as one of the top sources in financial services, bobsguide gathers information about the latest news, top advice and practices. bobsguide is a blog for finance professionals and aims to connect buyers and sellers of financial technology globally. As such, bobsguide is a giant in the fintech world and a must read whether you're seeking financial industry news, trends or topical overviews. 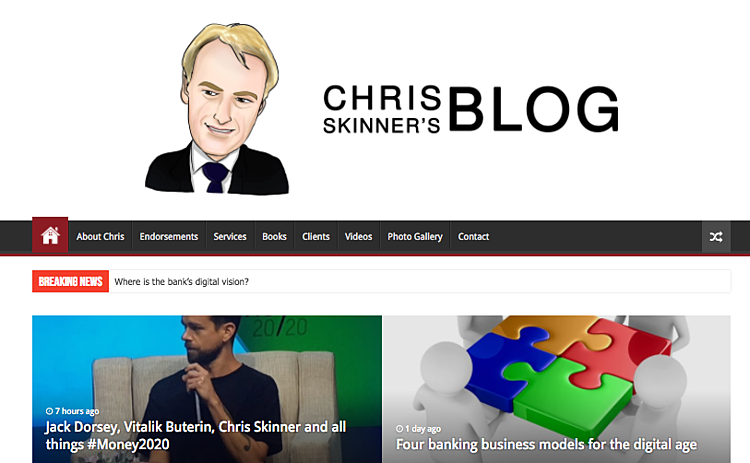 The fintech blog created by Chris Skinner - an independent author and commentator on the financial markets and fintech - is all about the finance sector and a great resource for those who want to know about finance and new technologies. 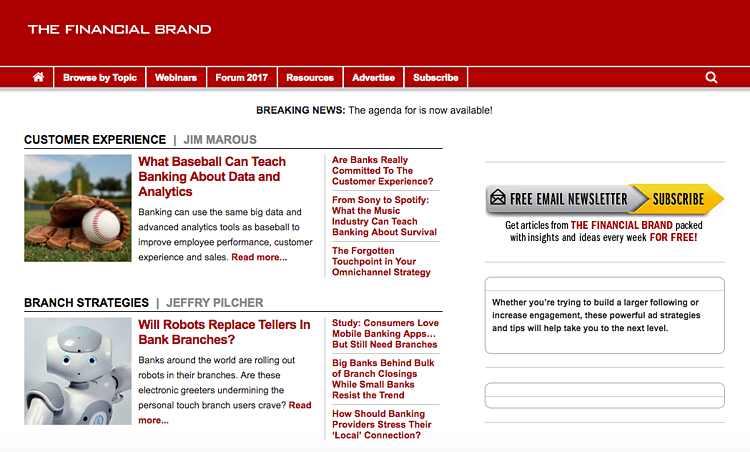 The Financial Brand are experts in digital marketing and brand strategies for banks and credit unions. 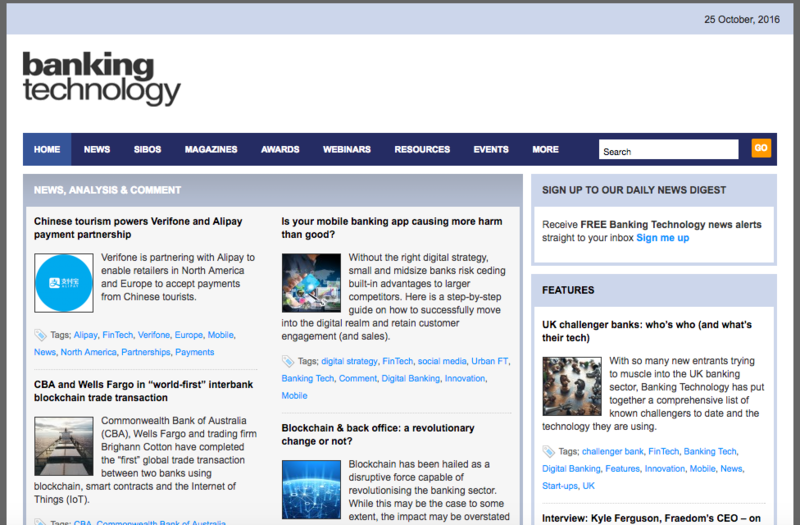 Their blog features key insights for bank leaders, fintech bloggers and experts, and dives deep into banking industry. It is the singular resource for C-level banking executives looking for the latest ideas, insights and information about how financial institutions build their brands. Raconteur experts offer a variety of interesting research. 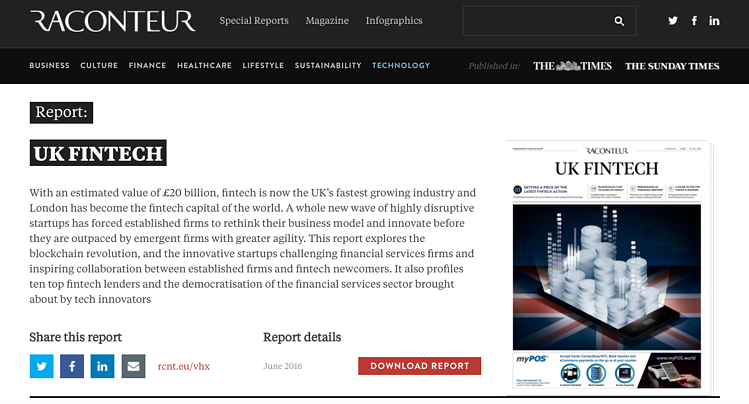 In addition to Fintech, they are experts in combining business, sustainability and culture news. 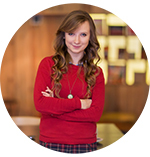 Their content informs, inspires and influences thought leaders worldwide. Let's Talk Payments is the go-to place for actionable advice on money, payments, financial services, banking, shopping, commerce, insurance and fintech entrepreneurship... or simply Fintech. If you are not reading it, you are missing out. The Kantox Blog is undoubtedly one of the best to read if you are looking to stay on top of currency-related resources, management & treasury news. One of their main objectives is to provide education about a major problem faced by international companies: currency management. Unlike many traditional information sources, Market Mogul gives a fresh perspective on finance, the global economy and current affairs. They want to encourage debate around topical issues that are typically covered in a mainstream fashion. We simply enjoy the weekly briefings and perspectives highlighted by the Financial Revolutionist. They always find a distinctive voice, a unique perspective and strike a balance between news and perspectives of their own. BlueNotes is a great publication and forum of insights, opinions, research and news about the economy, financial services, investment and society. Even if we have highlighted it before, technically this one isn't a blog. However, we had to mention this podcast. 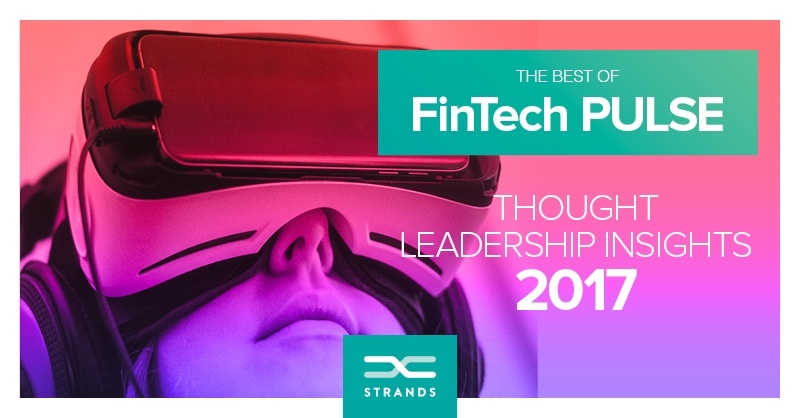 Each week Fintech thought leaders David M. Brear, Chris Skinner, Jason Bates and Simon Taylor chat through the news of the week. They are joined by some of the biggest names in banking and FinTech. If you'd prefer to listen than read your content, this podcast is your go-to. Through Habile Technologies one can view some great articles about technology, fintech, entrepreneurship and many solutions to handle the challenges of the modern business landscape. 21. 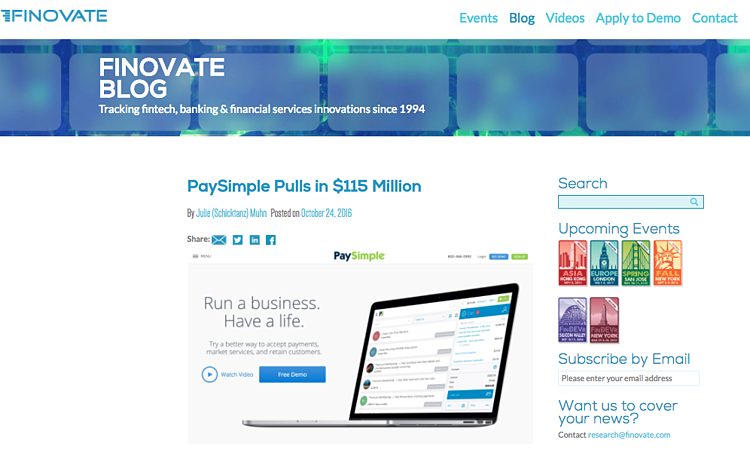 Fintech Pulse Blog (we couldn't really leave our own blog off the list). We share the latest news and stories from the world of financial technology, artificial technology, maching learning, software, banking and financial services for your reading pleasure. Leading the digital marketing transformation at Strands Retail: web, email marketing, content marketing, social, lead gen & nurturing, marketing automation, CRM, messaging, branding and design.